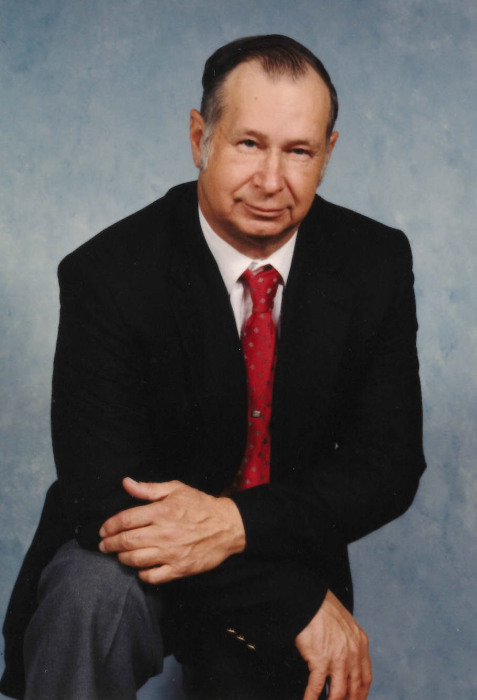 Kenneth E. “Gene” Gregory, 88, of Washington passed away at 2:55pm, Sunday, September 2, 2018 at Apostolic Christian Home in Eureka. He was born on July 28, 1930 in Thompsonville, IL the son of Kenneth and Gladys Mocaby Gregory. He married Louise Hodgson on April 24, 1949 in Pickett, AR. Surviving are his wife, three daughters Sherry Twist, Brenda Davis and Deb (Doug) Emlen all of Washington. Also surviving are 7 grandchildren 16 great grandchildren, one great great grandson and one sister Genell Cogdill of West Frankfort, IL. His parents, two brothers Warren and Dale, two son-in-Laws Milo Twist and Mike Davis preceded him in death. Gene worked for Caterpillar Tractor Company as a machinist for 30 years retiring in 1980. He was a founding member of the Washington Rescue Squad and volunteered for 11 years. He was a member of the First Baptist Church in Sun Lakes, AZ where they resided for 30 years. He enjoyed fishing, traveling in his motorhome with his wife Louise, playing cards especially Canasta and was an avid Chicago Cubs fan. The family would like to thank the staff at Apostolic Christian Home in Eureka for their exceptional care of Gene. A funeral service is scheduled for 2:00PM Thursday, September 6, 2018 at Mason-White Funeral Home in Washington. Pastor David Jane from Connect Church will officiate. Visitation will be one-hour prior to his service at the funeral home. Burial will be in Glendale Cemetery in Washington. Memorials in his name are encouraged to Message of Life Ministries at www.bcrandall.org. To share a memory of Gene, visit www.masonfuneralhomes.com.